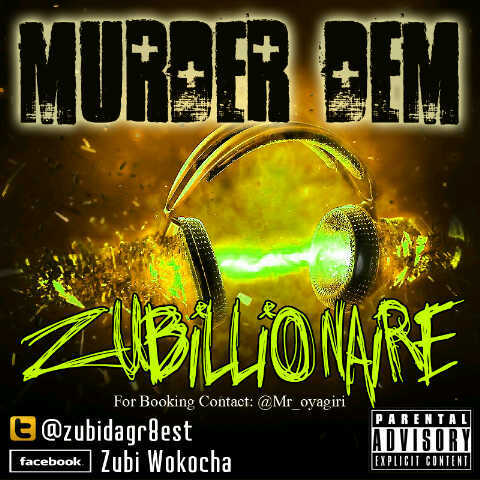 Acclaimed Rhythm FM personality Zubillionaire tagged "The Doer" [real name Azubuike Wokocha] is a singer, rapper and producer. The multi-talent is also the co-owner of The Billionaires Gang Management group and holds a New York Film Academy Diploma in Digital Editing and has produced several tracks including the hit single 'Malaria' by Soty in 2005/2006. A recipient of the 1st Edition Odudu Award for 'Best Music Producer' with an ever-green love for music debuts this spanking new single titled 'Murdem Dem'. Listen, share and enjoy!